10x industries goes the extra mile to ensure that their clients are happy. They are very responsive, work in a timely manner and are always within budget. Their attention to detail is appreciated along with their expertise in social media! What more can you ask for? 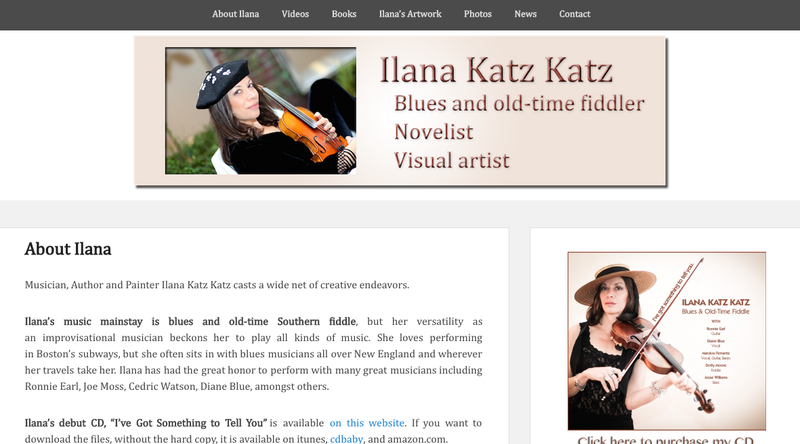 To create a responsive site for Ilana, for her new CD and events and videos tying to that endeavor, her book, The Underground, and for her artwork. We used the Divi theme from Elegant Themes in addition to a few plugins to make her lead nurturing component just work. Mailchimp integration, Contact Form 7, NextGEN Gallery and Yoast SEO really played a big part in making Ilana’s site found on the web as well as a resource for potential clients to keep coming back for more content.